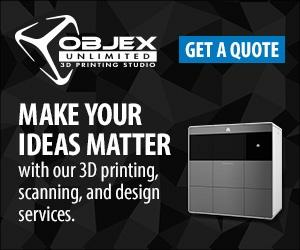 The ProJet 6000 range of 3D printers offer fast and high quality SLA printing with exceptional ease-of-use. These ‘crossover’ printers deliver very high part quality for the toughest applications. The ProJet 6000 SD offers two choices of print resolution, a choice of 5 VisiJet SL materials including the VisiJet SL Flex and Clear, and an easy touch screen interface to control the printing operations. The ProJet 6000 range delivers up to 10 x 10 x 10 inch (250 x 250 x 250 mm) net build volume. The ProJet 6000 SD offers two choices of SLA print resolution, a choice of 5 VisiJet SL materials, and 10 x 10 x 10 inch (250 x 250 x 250 mm) net build volume.